Gypsy is a year older than Jack and is his protector and best friend. Jack is a bit of a softy. 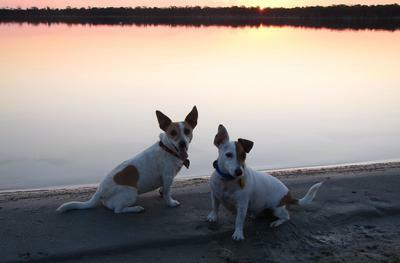 They are an amazingly calm and well behaved pair who live on acreage in the wheatbelt of Western Australia. Gypsy has a perfect heart shaped spot on her side which always attracts comment.